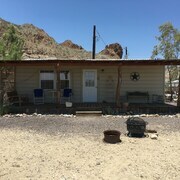 Located in the heart of Terlingua, this cabin is 15.7 mi (25.3 km) from Barton Warnock Visitor Center and 17.4 mi (27.9 km) from Santa Elena Canyon. Located in the historical district, this family-friendly resort is 1.3 mi (2.1 km) from Barton Warnock Visitor Center. 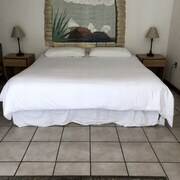 Situated in Terlingua, this vacation home is 21.6 mi (34.8 km) from Barton Warnock Visitor Center and 32.1 mi (51.7 km) from Santa Elena Canyon. This romantic property is in Alpine. This romantic vacation home is situated in the city center. Resort was great; food was good; but restaurant was understaffed, resulting in long waits for tables and food. My friend and I had the best stay here - so close to Big Bend, the accessibility was amazing. We stayed for 2 nights and found our cabin to be the perfect spot to end each day. We really just wanted a bed, bathrooms and a shower.. but were so happy to also have a comfortable(!) 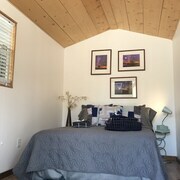 bed, an AC, coffee maker, small fridge, VERY clean and nicely kept bathrooms/showers, covered parking and a great community space for stargazing or general relaxing pre or post adventure. Check in and out were so easy, communication prior to our arrival was excellent and overall the stay was perfect. 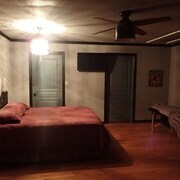 The cabins are very close to a gas station and several restaurants are within a 5 min drive. Thank you so much, we loved our stay! Where to find Terlingua hotels near an airport? Where can I find hotels in Terlingua that are near tourist attractions? According to Expedia's booking platform, there is just a single hotel that is located within 0.1 kilometres (0.06 miles) of Terlingua. However, if you visit this part of United States of America, you can stay in El Paso which is 380 kilometres (236 miles) from Terlingua. El Paso hotels include the Staybridge Suites El Paso Airport and Hampton Inn & Suites El Paso West. 18 kilometres (11 miles) from the main part of Terlingua, is the Lajitas Golf Resort and Spa. For those who are inspired to see more of the prairies, desert landscapes and canyons that are typical in this area, you might also plan some extra days in other places in Big Bend Region. You could visit local attractions or go hiking and afterwards book a comfortable place to stay the night. Searchfor our current Terlingua travel listings and explore the fascinating visitor attractions this area has in store. 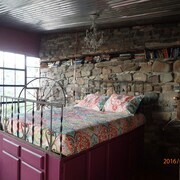 Are there hotels in other cities near Terlingua? 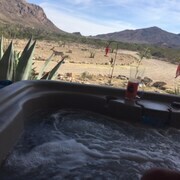 What other types of accommodations are available in Terlingua? Explore Terlingua with Expedia.ca’s Travel Guides to find the best flights, cars, holiday packages and more!